Carpentier will drive the same Toyota Camry he drove last year in Canada. 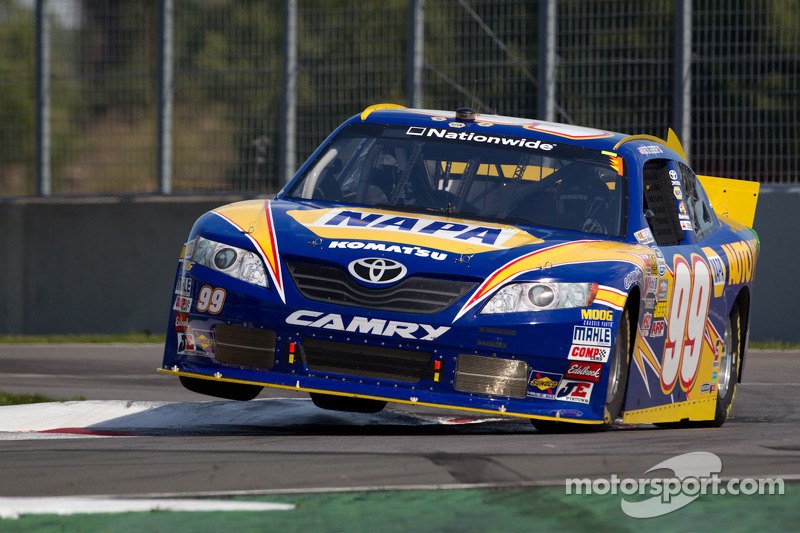 How special is it to have Patrick Carpentier driving for you at Montreal? "Montreal is a special place for us. It's where we were able to pick up our first win. Running the races that we've run there and we've competed three times, you can't help but notice the excitement and the fan fair that surrounds Patrick (Carpentier). I'm happy to be able to take what I feel like we've built with our road racing program and couple that with what Michael Waltrip Racing was able to achieve with Patrick. With our alliance this year with Waltrip's organization, it led us down the path to be able to work with Patrick and work with NAPA Auto Parts. We're actually going to field the same car that Patrick ran so well with there last year. Hopefully, we can take some of the knowledge that we've gleaned from the track over the past couple years and some of the successes that we've had and give Patrick the opportunity he deserves. 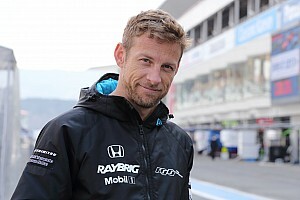 He's run up front every time he's been there, qualified well, had plenty of speed to come away with a victory at a place that I think is very special to him, but there's always been some sort of circumstance that took him out of the running. We're going to work very hard to keep him up front for the whole weekend and see if we can't put him where he deserves to be." Are you looking forward to returning to racing at Montreal? "I'm pretty happy to come together with these guys (RAB Racing) -- I know Boris (Said) was pretty fast with that car. Kind of looking forward to that. 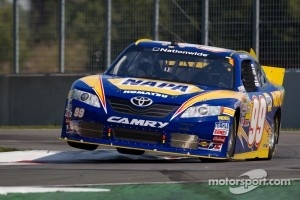 NAPA has always given me a good race car in Montreal also. I'm glad, I miss racing. It's been a while. Would definitely love to get back in it a little bit more. This year we're doing it for a charity -- children's hospital in Montreal. My daughter, when she was younger she was sick and they helped her out there because we were on vacation there for the summer. The hospital there helped her out quite a bit. We live in Vegas now. I said we would give it back to them so hopefully it goes well on that side too. I'm looking forward -- the last three years we couldn't finish. One time we made a mistake with the gear box and the other two I got taken out. Hopefully, we get a good race and be there until the end of the race. It's good to be back. I'm pretty excited about it. I've got a new sponsor this year with Harco Brands, which is waterless wipes and they are coming with us so I'm very happy about that." What would it mean to win at Montreal? "It would amazing. 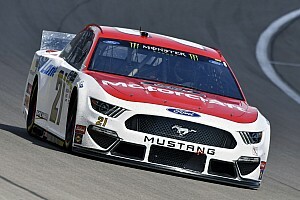 I still think about that race (finished second) and maybe I should have pushed harder in the hairpin there -- maybe should have pushed Kevin (Harvick) a little bit more. He was hard to beat. Hopefully, we get back there. I think the last few years we had the car to do it and it's a track that I feel pretty good on. Hopefully, we get the same thing this year with these guys (RAB Racing). I'm not sure about testing -- we haven't talked about that yet so I guess we'll talk about it. We were talking about either testing or a previous race so we'll see." What have you been doing since you retired? "I love wine so that's been one thing, drinking wine. In Vegas we have a construction company so remodeling, interiors -- I've been working with that. I ride motocross a lot -- we go riding up in California. That's pretty much what I've been doing. Still on a race track, but on a different kind. I like doing that and that's why I miss racing. It seems like it stays in your blood so hopefully it will be good to be back." Will you make a bet about winning the race at Montreal like you did in a previous race? "I'll never make a bet like that again. I never thought I would win the race. I was hoping we were going to win it and we ended up winning the race because we got the pole so I said in the press conference, 'If I win this race I'm going to run naked around the track.' We ended up winning the race so there you go. Once I was sitting at the airport and looking at the TV and I saw myself I said, 'No, that was a bad idea." 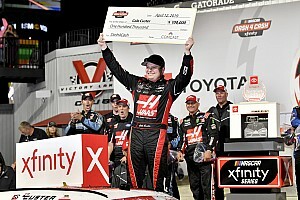 What did it mean to win the pole in the NSCS race at New Hampshire in 2008? "In everything I've done in racing, to get the pole here is the highlight of anything I've done. I think to me, NASCAR is one of the toughest form of road racing -- ovals or road courses. These cars are extremely hard to drive and it takes a lot of time to get used to it and learn the car, especially the mechanical side of it -- to understand it a little bit more. We just got right on it in qualifying there and that car was so fast and I was really, really happy to get the pole. Just a little bit before, we barely missed it at Richmond so I was really, really happy to get it here. It was one of the great memories actually." 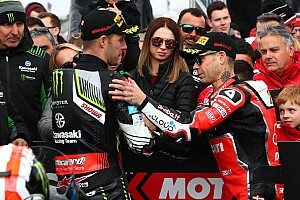 Is this just a one-race deal or the start of something long term? "I'd like it to be the beginning of something. I like ovals a lot -- I always have and I would love to get back on one of the ovals. We'll see -- we'll see what happens in Montreal. I'm working with a company, it's called Harco Brands and they are waterless wipes. They just got into WalMart so I'm working with these guys and they're big NASCAR fans. They want to sponsor a car eventually so we're working together. Hopefully, if the product gets into a few retail stores, maybe we'll come back to NASCAR. It's something I would definitely love to do. I miss it a lot. It's different. I've been racing for 27 years so it's quite a change -- I would love to get back to it." What do you think of the track in Montreal? "The Montreal track is different -- it's a bit tough on the brakes -- a lot of hard braking. It's a lot of high speed straight lines. Then hard braking and pretty tight corners. It's always a track that so many things happen. If you're there at the end and your car has decent speed then you have a pretty good chance to be in the top-three. The main thing is to be there in the last 10 or 15 laps -- once the race gets toward the end there, it's kind of the same thing everywhere, but at Montreal it's push and shove. If you survive that, then you stand a pretty good chance. That's the main goal, but the track basically there is one side of the track where you have to save the car and the other side where you push a bit harder. It's pretty technical track." Did the ovations when you were in the grandstands at Montreal factor into you racing again? 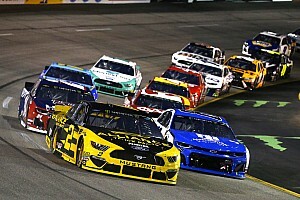 "It was so close to the end, we had new tires and the car was just smooth and fast -- we were just moving up to third-place. I thought I had a really good shot at it last year. It was kind of a surprise when I got hit from behind or from the sides and took me out. I guess that's the way it goes -- that's the way racing goes. I thought it was going to be the end last year, but at least I was up in the front. When you get pushed out of the race and you're running 30th, it's not as fun as when you're up front battling with these guys. At least we have the car do more battling up front. That's always a plus, but I guess that was part of racing. It was not too bad, it was just sad that it was like that." What do you think of the passion fans in Canada have for NASCAR? "I think they like it because you never know what's going to happen. With the fenders, there's no limit. You kind of saw that at Elkhart Lake (Wisc.) at the end. You never know where you're going to end up. I think it makes for great racing. The Montreal race track is always unpredictable. I think it makes it good. People really do love it. The grandstands have been packed every year so it's pretty good." What happened when you entered the United States today? "I forgot my US passport so I was pretty happy that I came through. They didn't want to let me through so we had to go inside for a chat. They said, 'Are you a U.S. citizen?' I said, 'Yeah, I am -- I've been here for many years.' They said, 'Well, if you lie to me then you're going straight to jail.' I was hoping he was going to find the passport and the citizenship on the computer, but my problem is going to be actually to go back to Montreal tonight."